Hey everyone! Hopefully your week has been going well so far. I know it is only Wednesday but I already feel like the week has gone by so fast!!! This past weekend, my mom and I went back to Houston. I will do a full recap post of that trip because soooo much happened in those 3 days. 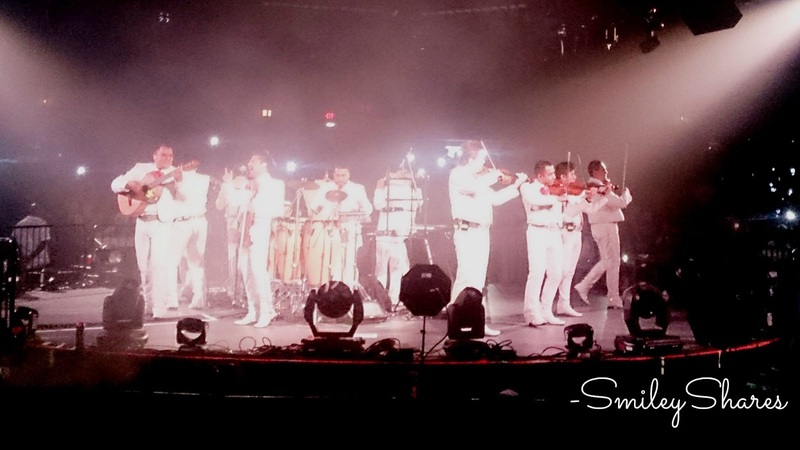 However since September is Hispanic Heritage Month I figured it would be perfect for me to share a bit about the concert we went to during the weekend. Back in April I bought my mom concert tickets to see Pedro Fernandez for her birthday. Jose Martin Cuevas whose artistic name is Pedro Fernandez, has had a long successful musical and acting career. He has been in the spotlight since he was around 10yrs, which is why many people still refer to him as Pedrito Fernandez. He is the same age as my parents; they pretty much grew up together. He was also my mom’s first “crush”. 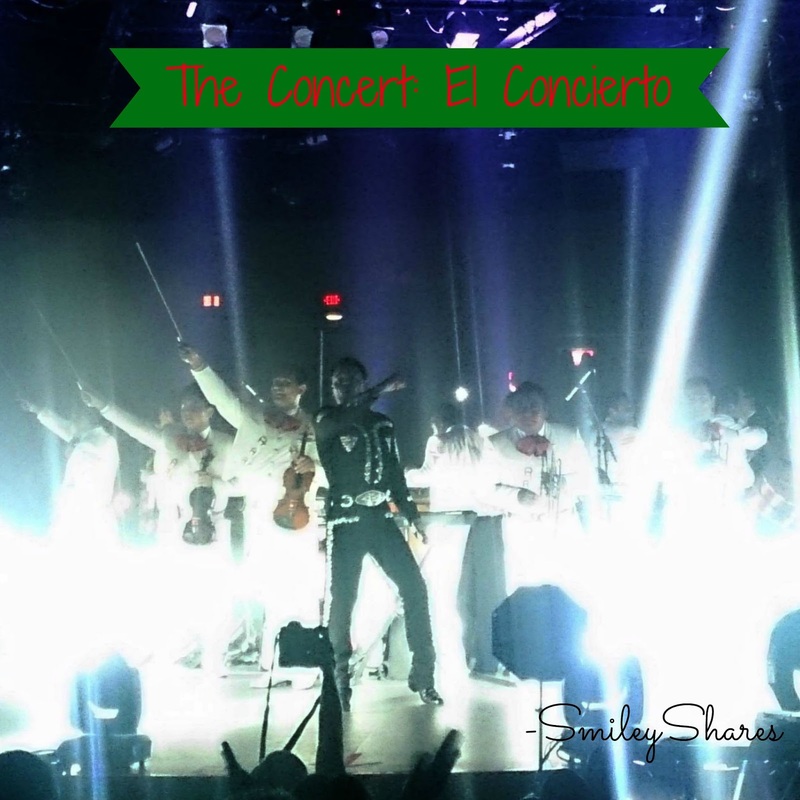 He is one of the few artists whose still has a traditional sound and sings with Mariachi. As I mentioned in my post from Monday, when my siblings and I were younger all we would listen to was “my parents music”. Listening to Pedro Fernandez on our way to school/babysitter was inevitable. We grew up also listening to his music and watching his films, just like my parents had. I remember the first time I saw "La Nina de la Mochila Azul",I have to admit I also had a crush on the guy.He was only 10 yrs old in the film, so it was okay.When I received the email announcing the show, I didn't even think about it and just purchased the tickets. The excitement on my moms face when I told her, was priceless. The day of the concert was very crazy and busy. We were all pretty much tired by the afternoon but there was still a concert to attend. We got there just as the doors were opening. You could feel the excitement in the arena, while we waited. When the mariachi stepped out, you knew the party was about to start. Then he stepped on stage and everybody pretty much went crazy. The guy is a performer! Yeah, sure he has been doing it for 30+ years but wow! The show was great from beginning to end. He would sing, dance to his upbeat songs, and switch to the romantic ballads without any problem. He also sang classic Mexican songs like "Mexico Lindo y Querido" to celebrate La Independencia de Mexico*. All while accompanied by the Mariachi. I have to point out his sense of humor...when he would make a joke, I felt like I was listening to my dad. He was also very respectful to the audience. There were some people who were a bit rowdy. Although he tried avoiding those individuals, he responded to their requests. Unfortunately that just made more people want to reach out to him even more. Regardless, he did what he could. My dad, my mom, my sister and I thoroughly enjoyed every second of it. It was worth the years of waiting to finally attend one of his shows. Also without even thinking it became a way of celebrating our Mexican Heritage and Mexico's Independence Day.I am extremely blessed and happy that I was able to help give, everyone a special moment to share.Speaking of sharing, I will share some of my favorite pictures from the concert. Enjoy. How have you started to celebrate Hispanic Heritage Month (if you are)? Do you have a concert that you have always wanted to attend? Where you able to? If so, did it live up to the expectations? *-La Independencia de Mexico is celebrated on Sept 16. Oooooh I need to check his music out! I didnt know it was Hispanic Heritage Month I love learning about other cultures and even if I dont understand a word I'm always jamming out haha! Glad you had a great time and I love the pics! Thanks! He is really awesome and recommend his music, but maybe i am biased because i was raised with his music. I realized that not many people know its hispanic heritage month. Awww, that is so sweet and perfect timing! We didn't do much since I already had plans to go to ASL class. But we did have chicken fajita tacos for dinner. We will be attending other local festivities this week/weekend! Viva Mexico! Haha yeah, when i bought the tickets back in April i didnt even think of the date. But it was perfect timing. We usually dont do much. ASL as in American Sign Language? Where are you taking that? We may look into some local activities as well. My mom and I have been wanting to go to some local events...but something always comes up. sounds to me like you guys had a great time! This sound so fun! My husband is Mexican, I will have to ask him if he's ever heard of Pedro Fernandez. I myself enjoy mariachi music and also a little bit of Latino music (Elvis Crespo and Celia Cruz are two of my favorites). That was such a nice thing to do for your mother - I'm sure she really appreciated the lovely surprise. Thanks for linking up with Welcome Home Wednesday, please come back next week...I liked reading your post! Personally I feel like every Mexican should know who he is, but is all on what music they were raised with. My dad didn't know much about him until he met my mom, and my dad was born in Mexico. It is interesting how that works. I like Elvis Crespo and Celia Cruz as well, my sister used to always dance to their music when she was younger....We all really enjoyed it, but it definitely was special for my mom. This was my first link up, thank you for having it!